You may not find an abundance of grassy fields downtown, but you will find soccer. 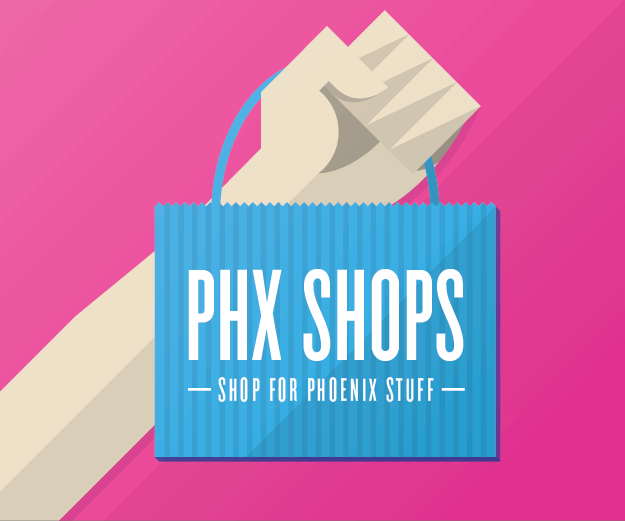 Pack your cleats and shin guards, because Soccerbombing is returning to downtown Phoenix. The surreptitious soccer games that began sprouting up last year thanks to Small Goal Soccer are rumored to be making reappearance in downtown this Saturday from 10 a.m. to 1 p.m., and with a little bit of sleuthing, you might discover the new location just in time. 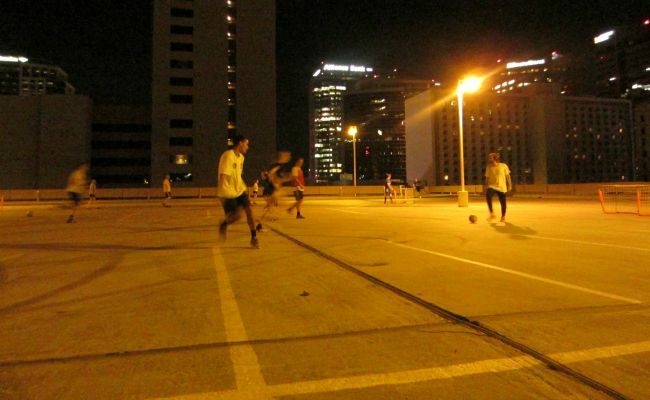 The impromptu games of 6v6 have become one of the most popular secrets in the valley since Small Goal Soccer’s National Director Adam Thelwell and Regional Director Trevor Brandel first turned a night out on the town into a night of secret soccer. 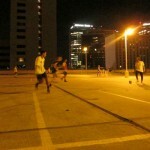 And although playing the beautiful game amid skyscrapers is reason enough to join, Thelwell said the games are simply a result of having nowhere else to play in downtown. Soccerbombing aside however, the Small Goal Soccer organization has grown by about 100 teams last year, Thelwell said, and nearly 300 kids joined the fall program in 2015. 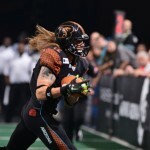 The 6v6 format in which all games are played allows for more touches on the ball per player, giving kids and adults a faster, more involved experience. 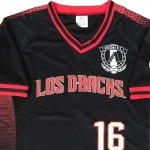 Small Goal Soccer has had such an impact in Arizona that they’ve expanded to six states, with two more expected by the end of the year. Thelwell and company won’t let a little thing like lack of fields stop them from playing soccer, so don’t let a little thing like not knowing where to go stop you from joining. Here’s how to find out where the game will be: First, follow the Arizona Soccer Community Facebook Group. Check the Small Goal Soccer website regularly for updates. And finally, Thelwell said, follow their Instagram, where information about impromptu matches pops up when you least expect it. 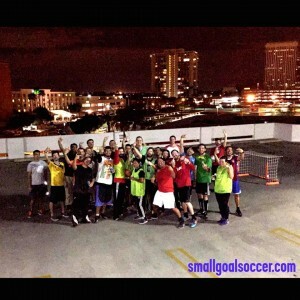 As Small Goal Soccer has grown in more suburban areas, downtown residents and ASU students have asked for playing opportunities downtown. Their solution is both novel and incredibly fun. 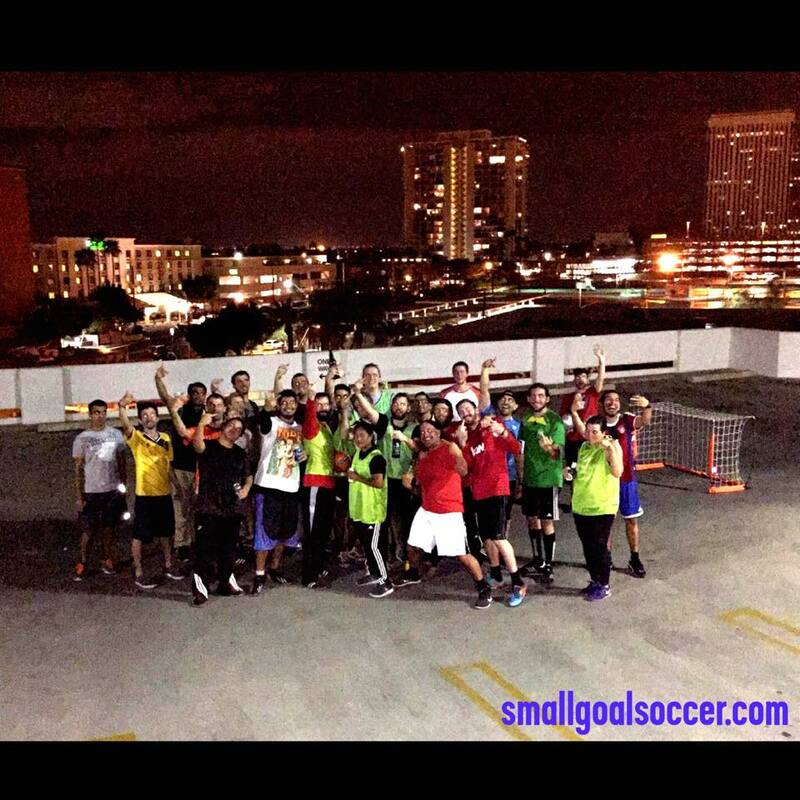 Necessity or not, we don’t need a great deal of motivation to play a joyous bit of soccer on a downtown rooftop.